The SPACE will help you get into a festive mood with our Christmas Fayre of 2016. Stallholders are welcome to market your Christmas-themed wares. 6ft tables and chairs provided. Refreshment/toilet facilities in our heated under-cover venue. Santa will be arriving at 1pm to welcome to you to his grotto until 3pm. 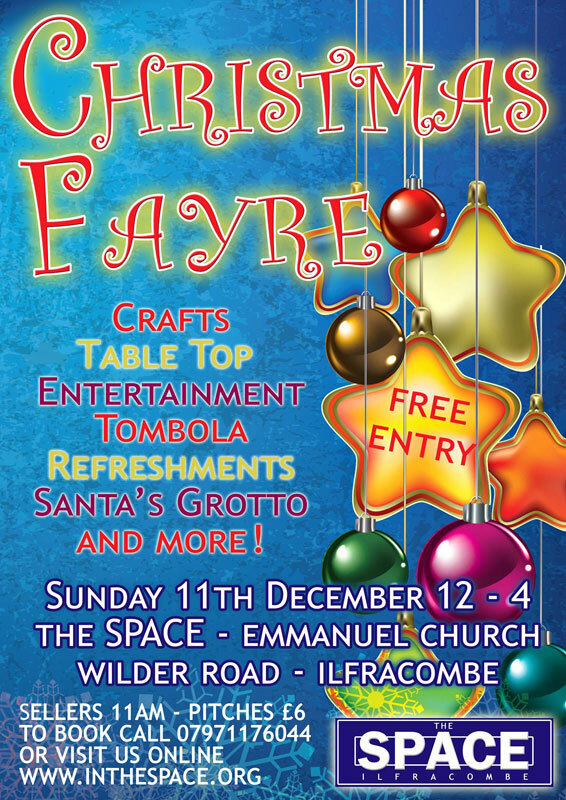 All proceeds from this event will contribute to the running of the SPACE for the benefit of Ilfracombe’s performing arts community.